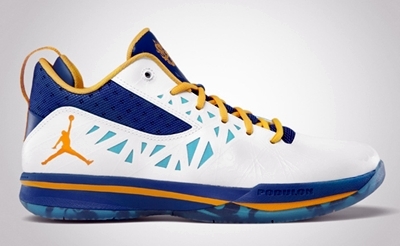 The Jordan CP3.V made waves with its previous colorways and it is expected to get more attention for it was released in a famous colorway this year. Chris Paul’s fifth signature shoe with Jordan Brand is now available in a “Year of the Dragon” edition – an edition that was a hit when it was first revealed with Jordan Brand’s signature shoe for this year, the Air Jordan 2012. Like the Air Jordan 2012, the Jordan CP3.V “Year of the Dragon” features storm blue touches throughout the white upper part, which also have university gold and tide pool blue accents. Expect this one to be a hot item, so make sure to get your own immediately!